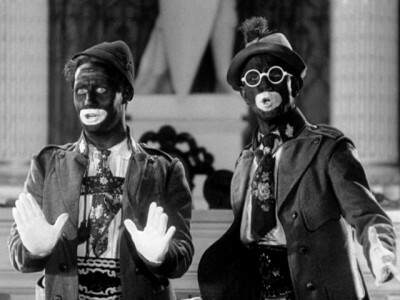 Political satire in film ran rampant during the Pre-Code Era. 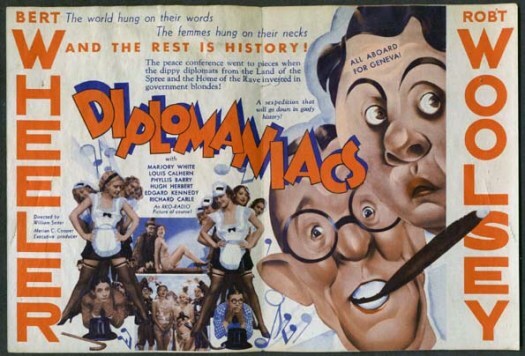 Somewhere between W.C. Fields’s MILLION DOLLAR LEGS and the Marx Brothers’ DUCK SOUP sits DIPLOMANIACS, Wheeler & Woolsey’s madcap take on war and peace, 1930’s style. It’s purely preposterous, unadulterated farce, and is guaranteed to offend someone, if not everyone. This entry was posted in Film, Film Review and tagged Bert Wheeler, comedy, Cracked Rear Viewer, Diplomaniacs, Edgar Kennedy, Gary Loggins, Hugh Herbert, Louis Calhern, Marjorie White, Phyllis Barry, political satire, Pre Code Confidential, rko, Robert Woolsey, Through the Shattered Lens, Wheeler & Woolsey, William A Seiter. Bookmark the permalink.